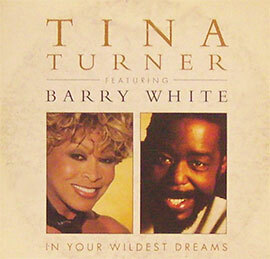 "In your wildest dreams" is a duet released by Tina Turner and Barry White from Tina Turner's "Wildest Dreams" album. The single was released at the 21th of December 1996. The original European album version featured spoken vocals by actor Antonio Banderas, while for the single version and U.S. edition of the Wildest Dreams album, Turner re-recorded the track with Barry White. "In Your Wildest Dreams" is a song about a woman who loves her man dearly. Tina performed the song several times. For instance on the Oprah Show and on Saturday Night Live in 1996. The American music video was created by the Aardman Animation Studio, and features claymation versions of Turner and White in comical situations with cameos by Antonio Banderas and Wallace and Gromit. 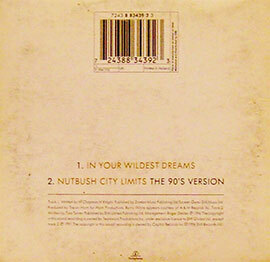 The B-Side is"Nutbush City Limits" (The 90s Version). "Nutbush City Limits" is a song that Tina wrote herself. It is about her hometown Nutbush. There are several different CD Maxi Singles. Tina Turner Featuring Barry White - "In Your Wildest Dreams" (LP Edit) - 3.47 min. 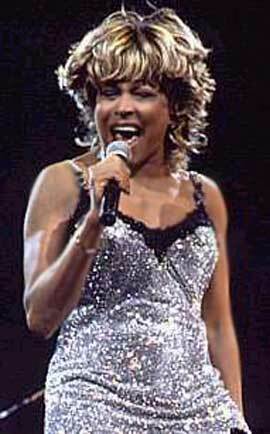 Tina Turner Featuring Barry White - "In Your Wildest Dreams" (Crossover Mix) - 3.50 min. Tina Turner, Barry White - "In Your Wildest Dreams" (Joe Remix Edit) - 3.49 min. Tina Turner Featuring Antonio Banderas - "In Your Wildest Dreams" (Crossover Mix) - 3.50 min. Tina Turner, Antonio Banderas - "In Your Wildest Dreams" (Antonio Banderas Latin Mix) - 3.59 min. 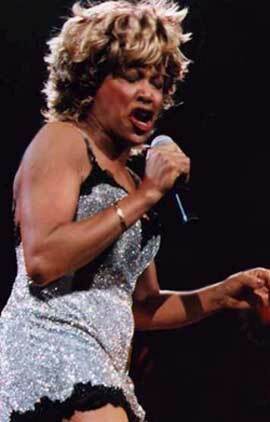 Tina Turner Featuring Barry White - In Your Wildest Dreams" - 3.58 min. "Better Be Good To Me" - 3.39 min. "Nutbush City Limits" (The 90's Version) - 3.44 min. Tina Turner Featuring Barry White - "In Your Wildest Dreams" (Joe Remix) - 4.49 min. There are several different versions and Remixes of "In Your Wildest Dreams". European album version (with Banderas) – 5.34 min. Banderas Slow Mix – 3.51 min. Banderas Latin Mix – 3.59 min. Crossover Mix (with Banderas) – 3.50 min. U.S. album version (with White) – 5.29 min. Single edit (with White) – 3.59 min. Alternate single edit (with White) – 3.47 min. Joe Urban Remix a.k.a. Joe Extended Remix (with White) – 5.25 min. Joe Remix Edit (with White) – 3.49 min. Crossover Mix (with White) – 3.50 min. Pink Noise Club Mix (with White) – 5.30 min. Pleasant Instrumental (with White) – 5.23 min. Deep Dish Paradise Mix Edit (with White) – 4.56 min. Deep Dish Paradise Mix (with White) – 9.51 min. Deep Dish Stripped Bare Mix (with White) – 9.45 min. Deep Dish Assassin Mix (with White) – 9.21 min.